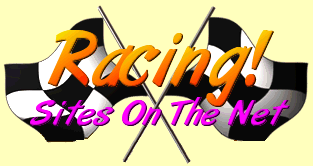 This page is dedicated to the memory of those racers who lost their lives doing what they enjoyed. Those of us who follow racing respected them, and they will always have a special place in our hearts. They may be gone, but we will not let them be forgotten. May their tracks always be clean and all their flags checkered. This page is **OLD** and many of the links are old and may not work. I haven't updated it in a long time, and need to get around to that one of these days. If you hit a dead link I apologize in advance.